The AS63/64 series supports next generation HDMI 2.0 specifications, featuring up to 60/50P 4K resolution video which provides twice the fluidity of 4K 30P. Combined with built-in 2GB/8GB dual channel memory, this allows for the playback of 4K/UHD with unparalleled smoothness. 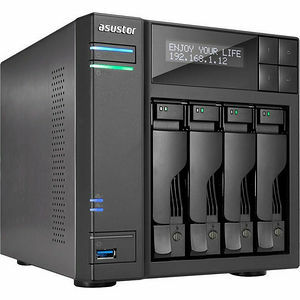 No matter if it's your treasured collection of Blu-ray quality movies or videos that you have recorded with professional quality cameras, ASUSTOR NAS can perfectly display all of it in crystal clear quality.